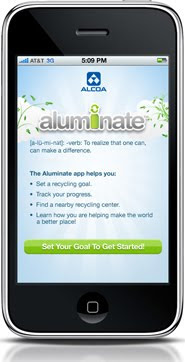 Earning cash by recycling aluminum cans is more convenient than ever thanks to Alcoa Recyling’s Aluminate app! The Aluminate app gives you all the tools you'll need to keep track of all the aluminum cans you've recycled, and tells you how much money you may earn by taking them to your nearest recycling center. By recycling one aluminum can, you can truly make a difference. Download Aluminate today and get started! Look for this app's icon in the Apple App Store. Alcoa Foundation provided a two-year $1.5 million grant to expand Girl Scouts Forever Green globally to 20 countries. This grant will enable U.S. and international councils to work together and lead their families, schools and communities in improving the environment and protecting natural resources.